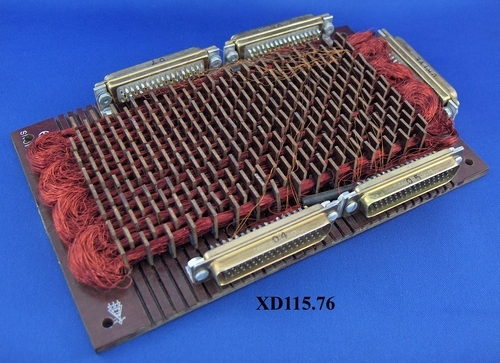 1 x 5 x 8 1/2 in. 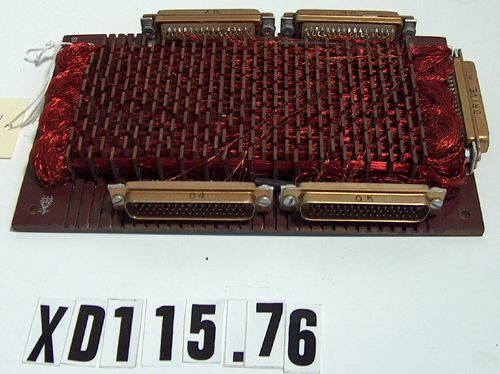 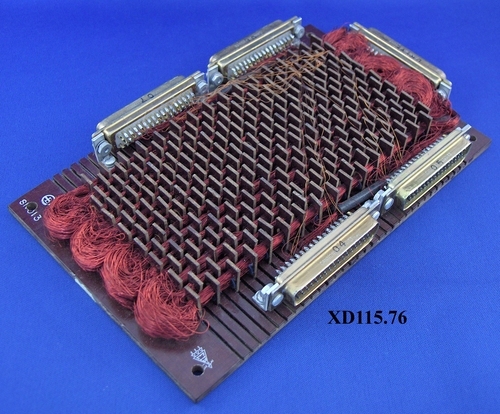 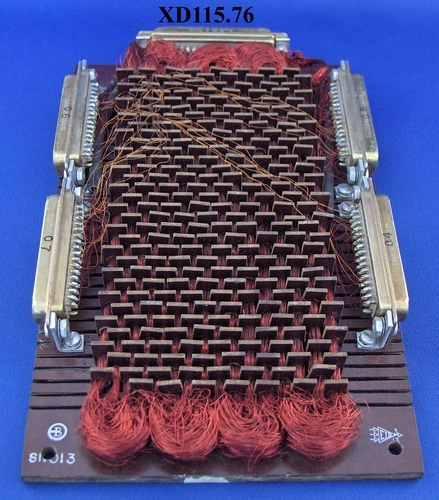 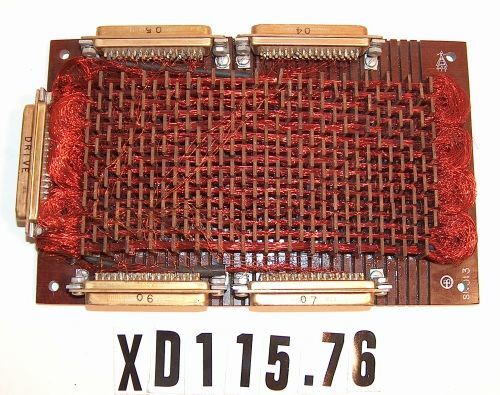 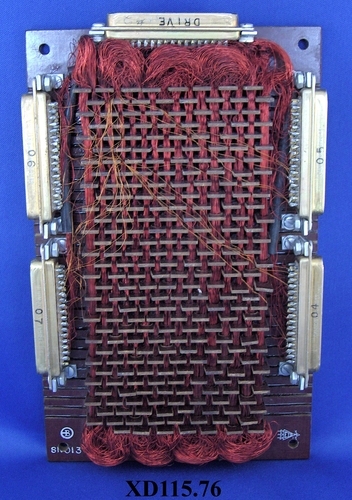 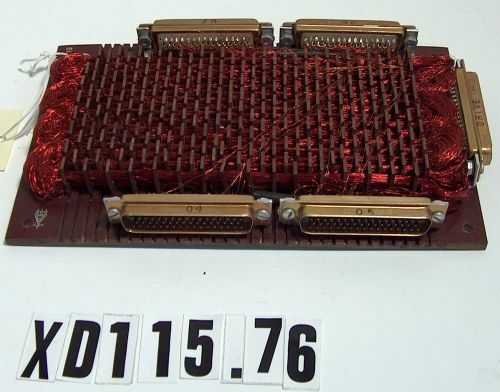 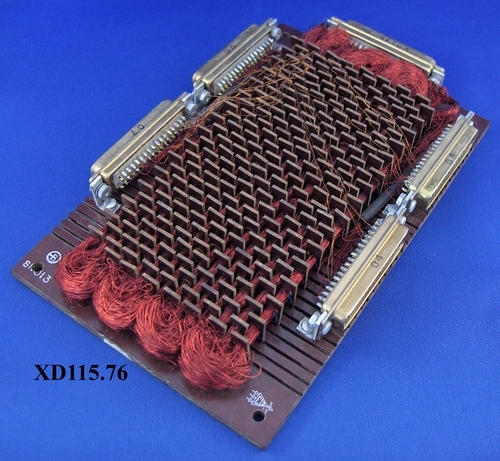 This is a prototype rope memory unit made by Burroughs for the MIT Instrumentation Laboratory for their development of the Apollo Guidance Computer by 1963. It was not selected for the computer, rather a design submitted by Raytheon won.